1) Explain what is SAS? What are the functions does it performs? SAS means Statistical Analysis System, which is an integrated set of software products. 2) Explain what is the basic structure of SAS programing? 3) What is the basic syntax style in SAS? 4) Explain what is Data Step? The Data step creates an SAS dataset which carries the data along with a “data dictionary.” The data dictionary holds the information about the variables and their properties. 5) Explain what is PDV? 6) Mention what are the data types does SAS contain? The data types in SAS are Numeric and Character. 7) In SAS explain which statement does not perform automatic conversions in comparisons? In SAS, the “where” statement does not perform automatic conversions in comparisons. 8) Explain how you can debug and test your SAS program? 9) Mention what is the difference between nodupkey and nodup options? 10) Mention the validation tools used in SAS? 11) Explain what does PROC print, and PROC contents are used for? To display the contents of the SAS dataset PROC print is used and also to assure that the data were read into SAS correctly. While, PROC CONTENTS display information about an SAS dataset. 12) Explain what is the use of function Proc summary? The syntax of proc summary is same as that of proc means, it computes descriptive statistics on numeric variables in the SAS dataset. 13) Explain what Proc glm does? Proc glm performs simple and multiple regression, analysis of variance (ANOVAL), analysis of covariance, multivariate analysis of variance and repeated measure analysis of variance. 14) Explain what is SAS informats? SAS INFORMATS are used to read, or input data from external files known as Flat Files ASCII files, text files or sequential files). 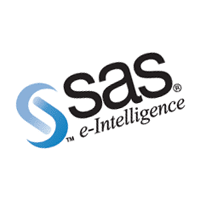 The informat will tell SAS on how to read data into SAS variables. 15) Mention the category in which SAS Informats are placed? • Date/Time Informats: INFORMAT w.
16) What function CATX syntax does? CATX syntax concatenate character strings remove trailing and leading blanks and inserts separators. 17) Explain what is the use of PROC gplot? PROC gplot has more options and can create more colorful and fancier graphics. 0 on: "Most Frequently Asked SAS Interview Questions."